Delvecchio and her companions resisted almost an hour in numerical inferiority under the applause of their audience. In the final he gave up the wall of Apulia, engaged in the last home game of the season against the Roman Grifone Gialloverde, second in the standings. The final score of 2-0 in favor of the guests does not reveal the reality of a match faced openly by girls under Irene Spallucci's orders. The biancazzurre immediately reach a step away from the goal of the advantage, when a few seconds before the kick-off Dibenedetto acceleration leaves the attacker face to face with the opposing goalkeeper, in a very low position. The Trani bomber tries with a strong shot at the near post, but fails to surprise the opponent who rejects in a corner kick. The yellow-greens demonstrate throughout the game that they have wet dust: the attempts of the various Bartolucci, Clemente and Diberardino almost never end up in the door mirror and Maldera quietly foil the remaining occasions. The needle of the balance in the challenge is up to the match judge, who at the half hour of the first half expels De Marinis for a retention at the limits of the area, in an action worthy of the intervention of the VAR. The Apulia does not despair and continues to beat the guests, finding more than one occasion with the indomitable Dibenedetto and the offensive flashes of Ventura and Racioppo, while Sibilano sacrifices himself in defense, disengaging excellently when called into question. Indeed, in the second half, the tranese striker manages to stamp the advantage, then canceled after a consultation between the referee and linesmen. Just when the game seemed to be destined for a draw, Bartolucci slings his way over a short rejection of Maldera following a shot from outside the area, signing the advantage and doubling on the counterattack while the landlords look for a desperate draw by tipping forward. The formation of President Scarcella leaves the field amid the applause of his audience, aware of having played an excellent race. 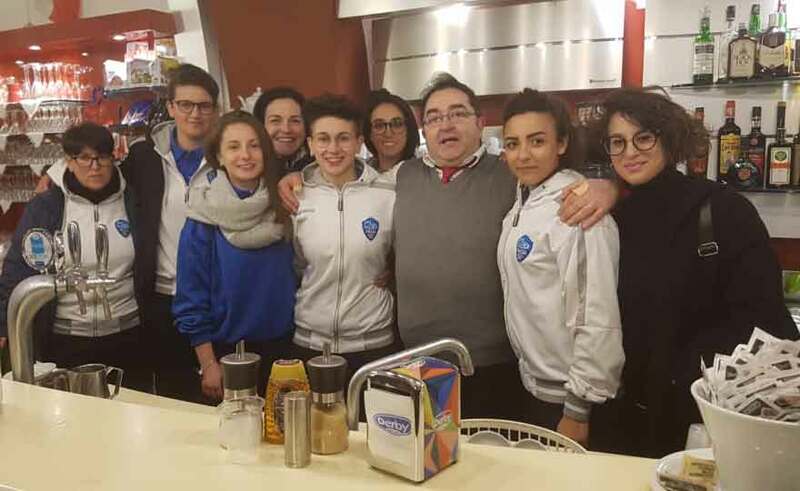 Waiting to close the championship with the trip to Chieti of the 28 April, the girls celebrated the safety of the supporters of Franco Pansitta, who inaugurated on Sunday evening the new headquarters of his activity, the Italian Coffee.